Brandon Gans’ experience as both a Deputy Sheriff and a State Prosecutor provides a unique advantage in defending criminal cases. Brandon has a working knowledge of police procedures and knows what the government requires to build their criminal cases. As criminal defense attorney, Brandon is able to put his knowledge and skills into action to obtain the best possible results for his clients. Before founding Gans Law in 2016, Brandon practiced criminal and traffic defense for three years in one of Orlando’s premier defense firms. During that time, Brandon was able to successfully defend hundreds of clients on their criminal and traffic charges. His performance on pre-trial motion work gained him recognition among his colleagues and clients alike. Prior to becoming a defense attorney, Brandon served as a prosecutor for the State of Florida for three years. He served in Lake County for a year and a half before transferring to Orange County. As a prosecutor, Brandon’s duties included, among other things, meeting with law enforcement, filing criminal charges, gathering evidence, arguing motions, conducting depositions, and taking cases to trial. His three years was split between misdemeanor and felony court. Brandon handled a number of high profile cases and was designated as a Special Prosecutor on assignment from the Governor of Florida. 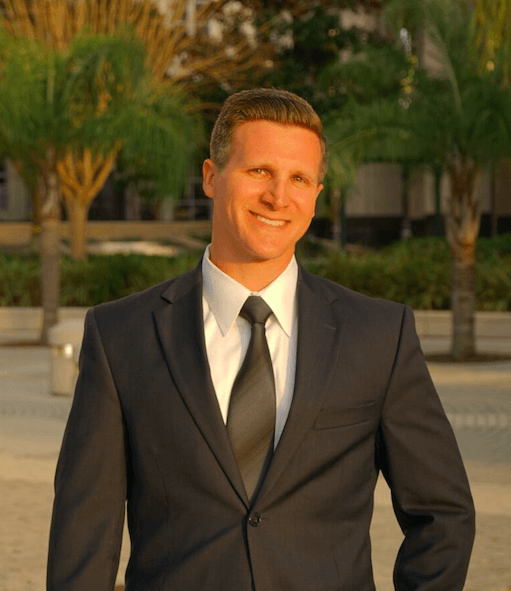 In addition to his experience as a prosecutor, Brandon has three years of service as a Deputy Sheriff with the Orange County Sheriff’s Office Reserve Unit. As a Deputy, Brandon responded to emergency situations, interviewed suspects, conducted criminal investigations, secured evidence, made arrests, wrote police reports, and conducted traffic stops. Prior to working for the government, Brandon graduated from Barry University School of Law in Orlando. As a law student, he acquired legal knowledge particularly in areas that interested him, such as criminal procedure and trial advocacy. Before attending law school, Brandon graduated from the Pat Thomas Law Enforcement Academy in Havana, Florida. During this full-time five month police academy, he was trained in all aspects of law enforcement. Upon completion of the academy, he was certified to serve as a law enforcement officer in the State of Florida. Brandon graduated from Florida State University with a Bachelor’s of Science degree in Criminology and Criminal Justice and a minor in Psychology. While attending FSU, he served as President of the FSU chapter of the National Criminal Justice Honor Society. After over a decade of education and experience in the criminal justice system, Attorney Brandon Gans works diligently in applying those skills when representing all of his clients.